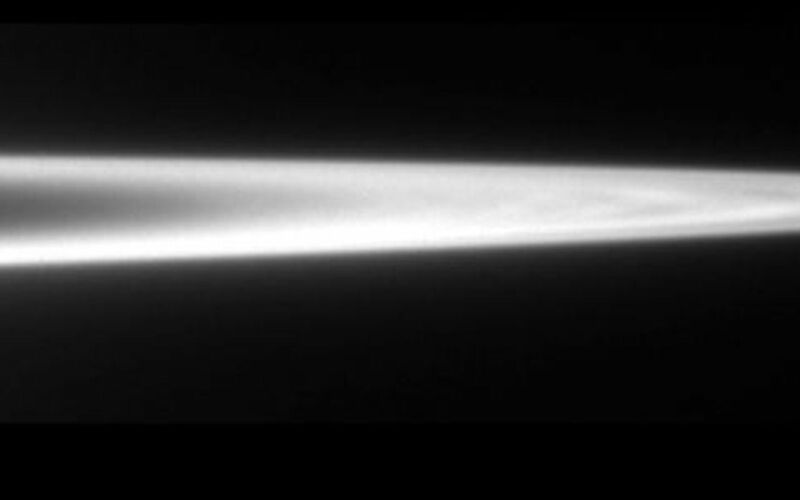 The ring system of Jupiter was imaged by the Galileo spacecraft on November 9, 1996. 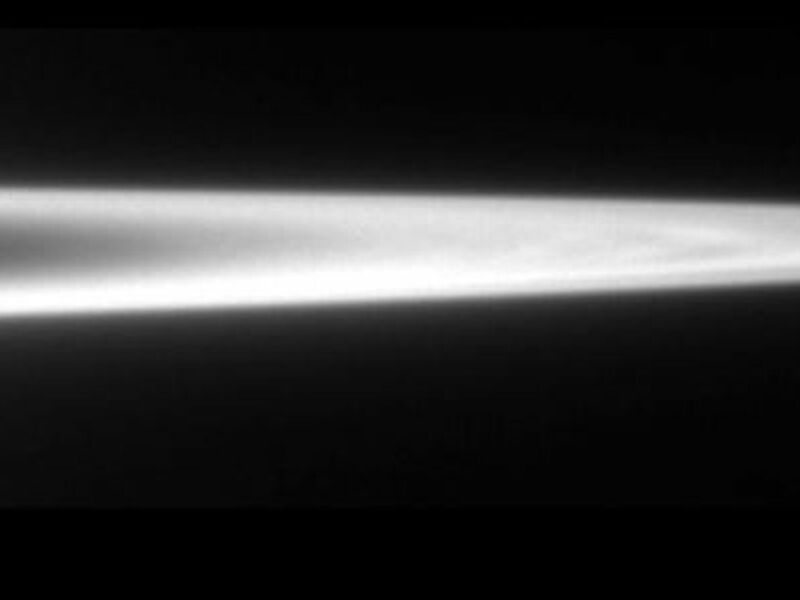 In this image the west ansa of Jupiter's main ring is seen at a resolution of 24 kilometers per pixel. The ring clearly shows radial structure that had only been hinted at in the Voyager images. The plot of the brightness of ring as a function of location, going from the inner-most edge of the image to the outer-most through the thickest part of the ring, shows the "dips" in brightness due to perturbations from satellites. Two small satellites, Adrastea and Metis, which are not seen in this image, orbit through the outer portion of the ansa; their location relative to these radial features will be available after further data analysis. The ring's faint halo is seen to arise in the inner main ring just as it fades. Although most of Jupiter's ring is composed of small grains that should be highly perturbed by the strong Jovian magnetosphere, the ring's brightness drops abruptly at the outer edge.